Toronto, Ont. – The Canadian Hockey League today announced the week two edition of the Kia CHL Top-10 Rankings for the 2018-19 season. The weekly rankings of the CHL’s Top-10 teams are selected by a panel of National Hockey League scouts. 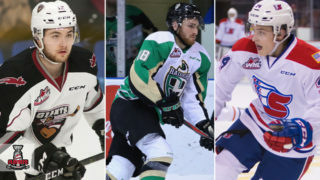 This week’s rankings featured three Western Hockey League teams in the top five of the charts, four WHL teams making it into the Top 10 Rankings, and two WHL teams given honourable mentions. Leading the charge for a third straight week were the Lethbridge Hurricanes, who split their road trip with an 8-4 win over the Regina Pats Friday and an 8-4 loss to the Brandon Wheat Kings the following night. 2019 NHL Draft prospect Dylan Cozens remained one of the league’s top offensive threats, recording a hat trick in Friday’s win and adding three points in Saturday’s loss. Those totals gave him 10 points (5G-5A) through four games, placing him in a tie for second in league scoring. 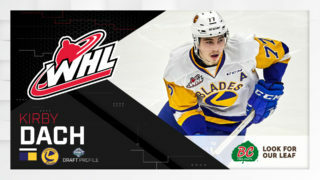 Cozens will have a chance to add to his totals when Lethbridge begins a three-game homestand Friday, October 5 (7:00 p.m. MT) against the Prince Albert Raiders. At a perfect 5-0-0-0, the Raiders followed up right behind the Hurricanes, earning spot four on this week’s CHL Top 10 Rankings. 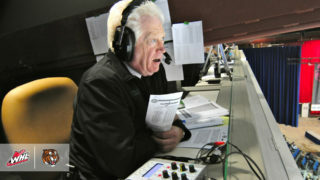 The Raiders won this times this weekend, downing the Medicine Hat Tigers 5-3, earning a 5-4 come-from-behind victory in overtime against the Moose Jaw Warriors, and skating past the Saskatoon Blades 4-1 in a battle of two undefeated teams last Sunday. Leading the team has been a collection of talents, including Ian Scott (Toronto Maple Leafs), who earned WHL Eli Wilson Goaltender Goaltender of the Week honours for his performance in the wins Friday and Sunday. Also leading the team has been the draft-eligible Brett Leason, who has nine points (2G-7A) in five games. The Raiders begin a four-game road trip through the province of Alberta beginning Wednesday, October 3 (7:00 p.m. MT) with a date against the Medicine Hat Tigers. Making it three teams in the top five of the CHL Top 10 Rankings this week were the equally perfect Edmonton Oil Kings, who moved to 5-0-0-0 with a pair of wins over Central Division rivals and a silencing of the defending WHL Champion Swift Current Broncos. After earning a come-from-behind 3-2 victory over the Tigers last Wednesday, the Oil Kings shut out the Broncos 5-0, and doubled up the Calgary Hitmen by a 6-3 score to spoil the Hitmen’s home opener Saturday. Captain Trey Fix-Wolansky (Columbus Blue Jackets) has been a guiding offensive presence early on for the Oil Kings, tallying 10 points (2G-8A) in five games, sitting in a tie for second in league scoring. The Oil Kings are at home Wednesday, October 3 (7:00 p.m. MT) against the Saskatoon Blades before beginning a six-game road trip through British Columbia and the U.S. Division. 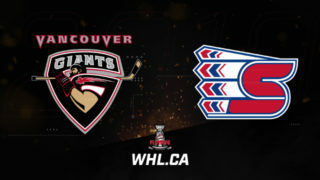 Earning inclusion to this week’s rankings as well were the Spokane Chiefs, who held down spot nine after a pair of wins over the Kootenay ICE and a narrow shootout loss to the Vancouver Giants. The Chiefs swept their home-and-home series against the ICE, winning 7-4 in Cranbrook, B.C. last Friday and 6-3 on home ice the next night. The weekend was one of firsts for the Chiefs, who saw both Adam Beckman and Jack Finley tally their first career WHL goals. Meanwhile, overage forward Riley Woods leads the club with seven points (4G-3A) in four games. Up next for Spokane is a home date against the Tigers on Friday, October 5 (7:05 p.m. PT). Both the Victoria Royals and Brandon Wheat Kings earned honourable mentions for this week’s rankings. The Royals won both their games against the Kamloops Blazers to move to a perfect 4-0-0-0 on the season while the Wheat Kings won their lone contest of the weekend to remain a perfect 3-0-0-0 this season. Friday’s win for the Royals was marked by a late goal from import forward Phillip Schultz. 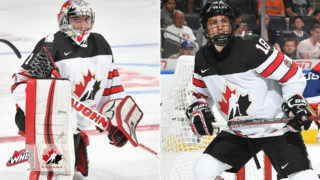 The goal was the first of his WHL career and helped to secure a 3-2 victory in a battle of undefeated B.C. Division teams. Up next for the Royals is a trip to the Okanagan this weekend, beginning Friday, October 5 (7:05 p.m. PT) against the Kelowna Rockets. The Wheat Kings’ week was highlighted by a five-goal performance from 2019 NHL Draft prospect Luka Burzan in their 8-4 win over the Hurricanes. Burzan became the first player in the WHL to score five goals in a regular season game since former Wheat Kings forward Jayce Hawryluk accomplished the feat on March 2, 2016. 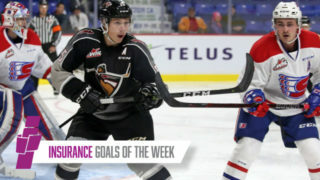 For his efforts, Burzan was named the WHL On the Run Player of the Week and CHL Player of the Week, marking the second-straight week a WHL player has won the weekly award at the CHL level. Up next for Brandon is a date against the Moose Jaw Warriors on Friday, October 5 (7:00 p.m. MT).